Hey all! Will be sharing this outfit post today. Winters are in and one can’t do with the jackets, blazers and sweaters. 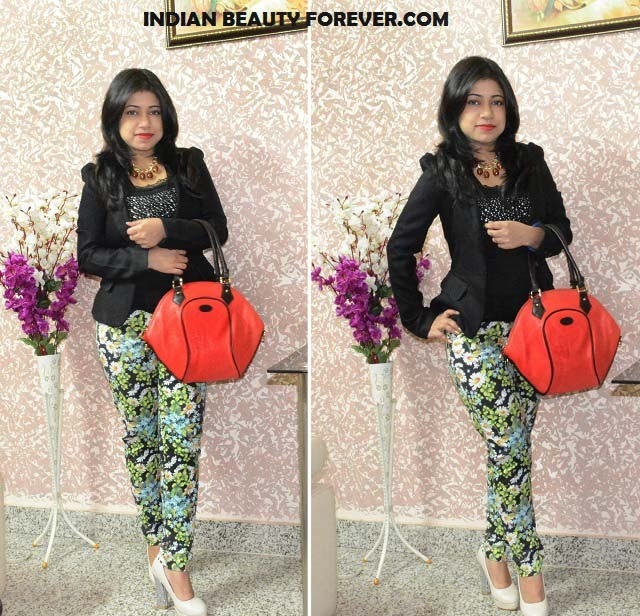 In this outfit I have paired floral printed black and green pants with a black jacket and a studded lacey tank top. 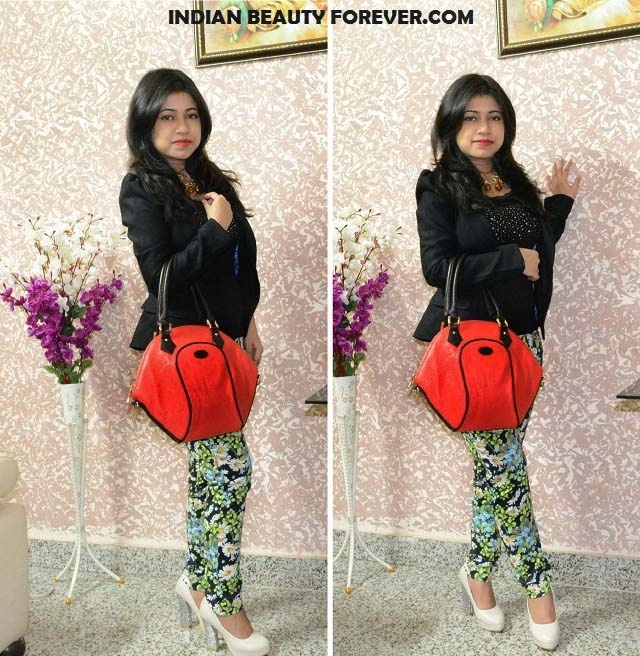 With the outfit, I chose to carry this red bag that I got recently from Khoobsurati.com. If you remember, I hauled from them, a couple of months ago and I still have that brown sling bag, which I absolutely love and have been asked a lot, where it is from mainly for its quality. So, this time too, I choose to browse through their bags section and picked up this bright red bag which I liked for its vibrant color and suitable size. Moreover, I haven’t bought any red bag for the past few couple of years. The bag is around 13- 14 inches wide and 12 inches tall with enough space to carry around loads of stuff. The strap loops are of decent size which will allow carrying it around on the shoulder or either way. It also comes with an extra adjustable strap which can convert it into a sling bag as it has two metallic loops on each side of the bag but I like it as it is. May be I could use the sling strap sometimes. The bag is priced at 1900 Rupees. Inside the bag there are a couple of pockets that are with and without the zippers which I have already loaded up with cosmetics. Finishing of the bag is good with very high quality metallic gold zippers. 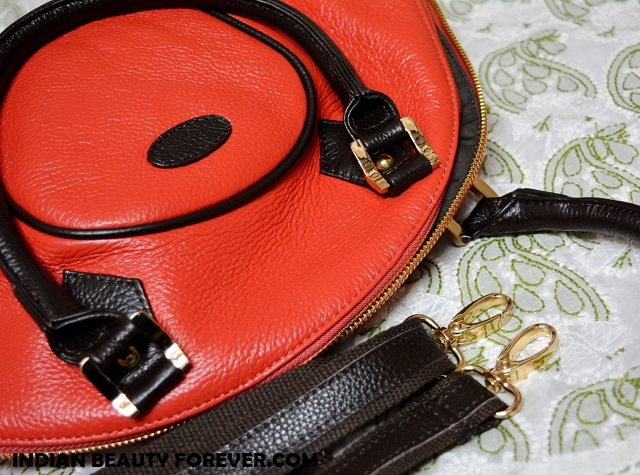 The same handbag is also available in a combination of black and red color.